Q. How is your program so different from the others? A. Our program is not like a typical gym. 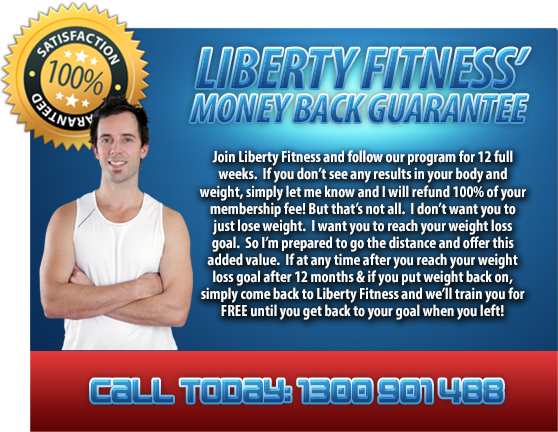 We want you to get results and we will put you with the program that will get you the best results possible. Our Fit Body Boot Camp classes are not like the ones that you see on the biggest loser, and not the ones that you would find at the community fitness center. We use results based training and full functional movement training to put together the best Boot Camp and Personal Training program in Moonee Ponds. Q. What is the difference between a Boot camp and Personal Training session? A. Boot Camp classes are larger training sessions using fat burning timed intervals. The program is able to accommodate all fitness levels due to the unique level system of progressions and regressions for every exercise. Personal training sessions are geared to meet your exact need. We will use a mix of strength training, core training and interval training to get you your results all within a small group (Up to 6 people per class). Q. I am not in the best of shape; will I be able to do this? A. YES!! As the professionals that we are, we are here to serve you. We base your program on your fitness level, fitness experience and abilities. So if you are in Boot Camp or Personal Training, your program will be just right for you. Q. How do I stay motivated? A. Motivation is a huge factor in getting to your fitness goals, so we will ask you to set clear goals along the way. That way we can continue to see progress! We will give you every tool you need to get there. We know that some days you will need some extra motivation and we are here to help on those days as well. Q. Will I get bored doing this? A. You will have different planned and specifically designed workouts throughout the week. We write a new program every month for every individual client to help you get to your fitness goals when doing Personal Training. Boot Camp workouts rotate throughout the week and a new program of workouts is written each month! Q. Do you guys help with nutrition? A. Yes! New members are given a Liberty Fitness health and nutrition diary to keep records of your daily nutritional habits. We refer to this weekly to keep you on track and make sure you are sticking to your goals. You also get access to all of our nutrition information that we will cover the important points with you via seminars and regular phone and email support. We want you to get the results you want and will do what it takes to get you there. Q. How long are workouts? A. Boot Camp workouts are exactly 30 minutes long so that you can get in and out quickly. Some Boot Camp classes are run directly one after another so if you’re up for it, you can do both, making it 1 hour of fat busting Boot Camp! Personal training sessions are 30 minutes long too, which is more than enough time to get you results. With our proven methods, our Personal Training sessions will get you your results while training with like-minded people. A. Simple, click on the link below and take up on the special Internet web deal on this page and get started!